Dental emergencies always seem to happen outside of office hours. 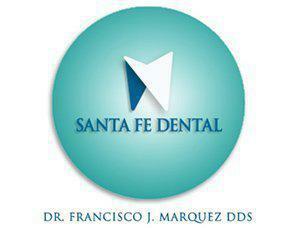 Francisco Marquez, DDS, understands these situations and offers urgent care services at Santa Fe Dental. He can treat you right away if you have a broken or knocked out tooth, your dental work broke, or you’re experiencing severe pain. If you need urgent dental care in Santa Fe Springs, California, call or use the online scheduler to see Dr. Marquez right away. What dental situations require urgent care? What should I do until I get to the clinic? Rinse your mouth with warm water to wash away any debris, and hold a cold compress to your face to reduce swelling. If you have a painful lump on your gums, rinse your mouth with mild salt water. Rinse your mouth out with warm water and apply a cold compress for pain. Try not to chew anything with the cracked tooth until you see Dr. Marquez. Handle the tooth carefully, without touching the attached tissue, and gently rinse off any debris. The best way to preserve a dislodged tooth is to try to place it gently back into the socket and bite down on sterile gauze to keep it in place. If you can’t get it back in the socket, place the tooth in a cup of milk or water. If a filling falls out, hold a piece of sugar-free gum inside the cavity until you get to the clinic. If a crown falls off, try to put it back into place with dental cement. If that’s not possible, save the crown until you can see Dr. Marquez. What happens if I wait to see the dentist? If you wait to see the dentist, you risk tooth loss and further complications. Infections can spread to other parts of your body including your jaw, neck, and face. Tooth decay continues to cause destruction; cracked teeth can become irreparably damaged, and knocked out teeth are unsalvageable. The longer you wait to get help, the more damage your dental emergency can cause. That leads to complex, costly repairs that were avoidable. 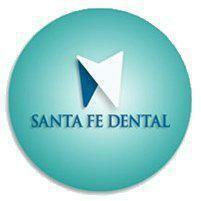 If you have a tooth that’s bothering you or damaged dental work that needs attention, make an appointment at Santa Fe Dental online or by phone.